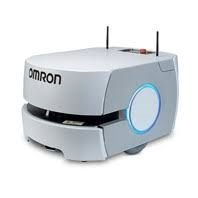 【OMRON】Mobile Robots LD series | Products （Robotics ）| MASS CO., LTD.
Omron mobile robots are fully safety compliant. They use an onboard laser and other sensors to detect obstacles in their path and, based on speed of travel, trigger an E-stop to prevent vehicle collision. 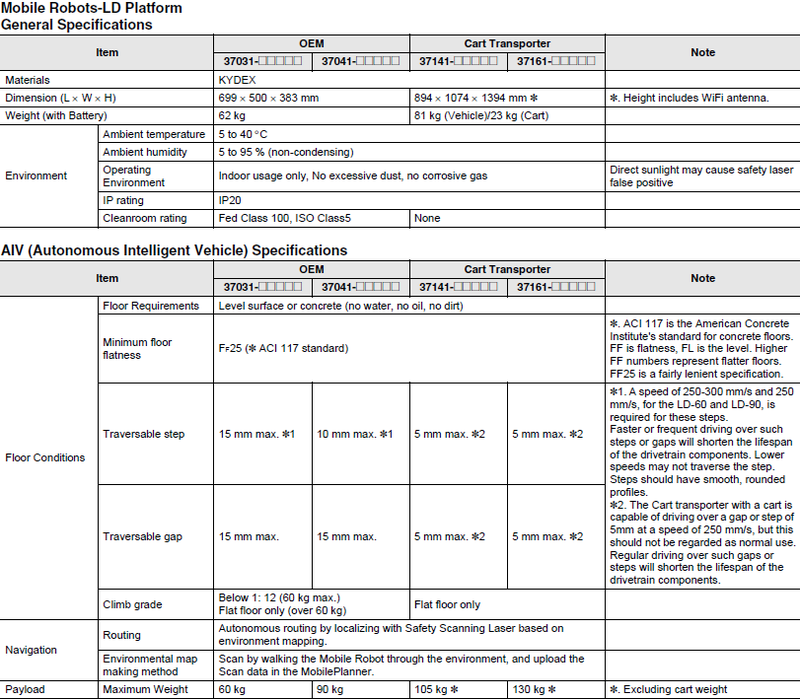 Robust Navigation with LD Acuity Localization. Acuity provides an additional method of “localization” to the onboard laser, to allow the robot to operate in frequently changing environments. 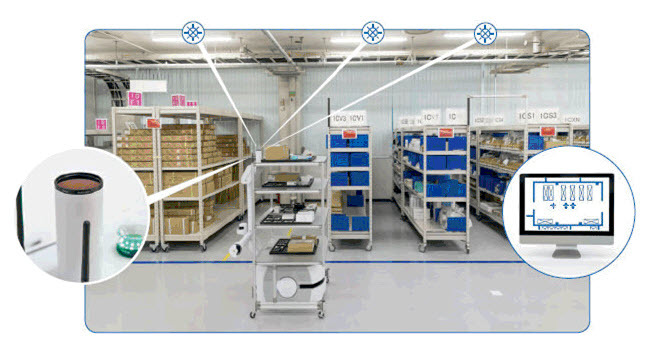 It identifies overhead lights and overlays the “light map” with the “floor map” It also allows the robots to move easily across wide-open areas in large warehouses. Our LD Electro-Static Discharge (ESD) Skin is a protective measure to protect both the robot and ESDS (ESD Sensitive) items within the environment to which the robot operates from damage due to the buildup and discharge of static electrical energy created by field strengths.